Online ordering menu for Tony's Villa Rosa. 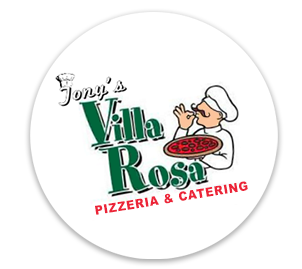 Tony's Villa Rosa is a stand out restaurant in Frankfort for the best pizza and Italian cuisine in the area! We are located right next to Square Links Golf Course and are jsut 3 minutes from the Manheim Business Park! Our menu includes a variety of Pizza (even an option to Create Your Own!). We also have Italian classics as Calzones, Pasta Aglio E Olio and Baked Mostaccioli. We offer both Carry-out and Delivery. Order Now!